I wrote in a recent blog that medical records are crucial in demonstrating that an applicant for disability benefits is, in fact, disabled. Working with a disability attorney that is experienced in all types of disability cases ensures that you have the best chance of successfully filing a disability application, whether for SSDI or SSI. 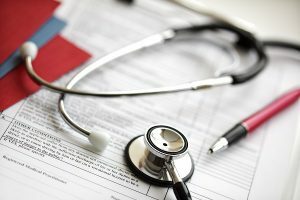 As medical records are the cornerstone of any disability case, what are acceptable medical sources for medical records? To qualify for disability benefits, medical records must be organized and submitted from acceptable medical sources, which is a person or institution that may provide evidence to support the existence of a disability. Such evidence must be in accordance with the guidelines set forth by the SSA in its “Blue Book” (officially entitled Disability Evaluation under Social Security). The Blue Book contains information on all of the medical conditions that the SSA considers as potentially disabling and for which disability benefits are available. Each condition contains a list of the medical evidence that must be submitted to the SSA by an acceptable medical source to establish its existence, duration, and severity. If you have any questions or concerns about any kind of disability case, including Social Security Disability, long-term disability, short-term disability, state retirement and workers’ compensation, call the Sullivan Law Office today! Call 888-587-0228 or visit us online.